Is your Teenager Taking Care of The Big Three? A teenager’s eyes tell all. As parents, we take one glance and it’s written all over their face. We know when something is wrong and when they aren’t their best. We immediately start guessing, decoding or deciphering what’s happening and more importantly, we want to know what we can do to help. As a clinician I see that same look in the eyes of teenagers daily. The pressure, stress and incredibly high expectations experienced between school, grades, sports, extra-curricular, SAT prep, jobs, social media and college overwhelms them emotionally. Teens who seem to “handle it all” suddenly can’t and they struggle to understand why they are so down, moody, anxious, lethargic or have no energy left in the tank at the end of the day. They blame their hormones, possible depression, teachers, their parents, anxiety, coaches, and friends for hijacking their mood and causing them to feel the way they do. And while all of that may be true, what often gets overlooked is “The Big Three”. It’s easy to look outside themselves and want to blame their struggles or their mood on everyone or everything but the truth is, The Big Three are essential to every teenager’s emotional and physical well-being. We live in a quick-fix-make-me-better-right-now society and it’s teenagers often look to medication to feel better. It’s common for teenagers chose to self-medicate with alcohol, marijuana or food and see it as a quick fix for a bad mood. While its true many teenagers have diagnosable clinical depression or anxiety disorders caused by chemical imbalances that need to be treated with medication, a vast majority of teenagers would benefit greatly if they simply focused on The Big Three. Growing up is difficult and being a teenager today in the age of social media is even more difficult. I recently asked a patient what three things they need in their life to help themselves feel better (hoping they would remember what we had previously discussed) and they half-heartedly (but seriously) rattled off 1) Snapchat 2) Twitter and 3) Instagram. In their social media driven world this may seem funny, but for many teenagers, it’s their truth. In reality, The Big Three has nothing to do with how the world sees us or our digital profile and everything to do with taking care of ourselves and being gentle on our bodies. As parents, we can educate our kids about The Big Three. As teachers, you can remind your students about The Big Three. As grandparents, you can support The Big Three. As mentors, we can model The Big Three. As adults, we can live The Big Three. As teenagers, they need own their role as budding young adults and become responsible for The Big Three. The saying “You are what you eat” is literally true. Contrary to what your teenager believes, Flaming Hot Cheetos are not a food group and French fries are not adequate fuel for their bodies. Food is a necessity to live and the vitamins and nutrients we get from eating certain foods is necessary to help grow our bodies and our brains. 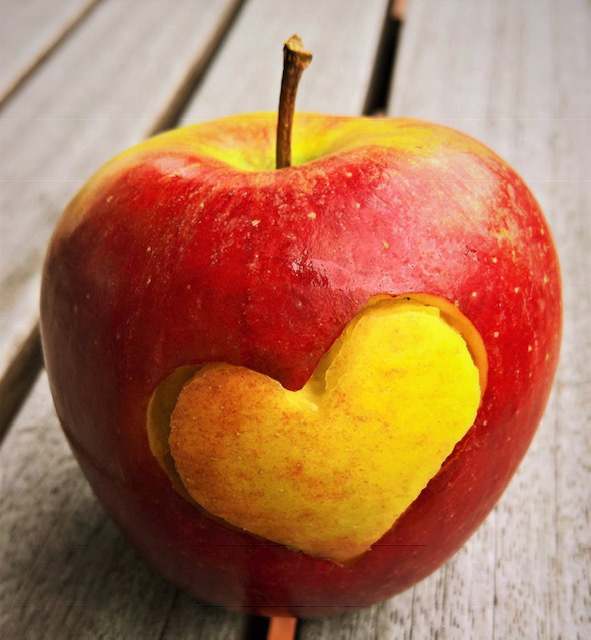 We know there is a direct connection between food and health, both emotional health and physical health. In simple terms: Feeding your mind and body junk, will make you feel like junk. Healthy eating during adolescence is vital as the body changes and teenagers experience growth spurts. While an increase in appetite is normal, we also see a rise in unhealthy choices as they gain more independence. Teenagers are notorious for picking highly processed, high sugar, high fat, low fiber foods that leaves them feeling sluggish and unmotivated. Changing what they eat often changes their mood. Instead of feeling down, slow, listless or lazy, a well-balanced diet brings energy, liveliness and a better ability to think and concentrate. Having a healthy diet also means not skipping meals, avoiding sugary drinks full of empty calories, and eating a variety of foods. It’s also important to teach the difference in eating because we are hungry or because we are bored or upset. Eating for comfort or to fill a space of loneliness or sadness is a scary pattern to begin at an early age. It’s important to teach them that that feeding the belly is not feeding the soul and emotional eating doesn’t make us feel happier. Helping our teenagers develop a healthy diet begins at home by making healthy options available. I make a homemade minestrone soup that my kids enjoy but are unaware is chock full of vegetables. Most teenagers aren’t going to sit down and write a list or go shop at the grocery store to be sure they have healthy foods around. They grab whatever is in the refrigerator or the pantry or they purchase quick snacks or fast food. Remember, teenagers are consumers, not creators. Have healthy options readily available (not just cereal or chips) and encourage them to find fruits and vegetables they like. Sometimes that means by trial and error and tasting foods you don’t like, helps teach us the ones we do enjoy. My kids would never have guessed they like fresh mangoes or broccolini if we never introduced it. Also, regardless of how much homework they have or what reason they give to try and convince you, no teenager should eat alone in their bedroom. If sitting around the table is difficult, find a place to sit together and just check-in. Equate meal time with family time. While it is their responsibility to eat well, it’s our responsibility to help them know the value of healthy food and make the connection between their mind, their mood and their gut. And don’t not forget to remind them: hydrate, hydrate, hydrate. Experts recommend that teenagers get 60 minutes or more of moderate to vigorous physical activity a day. While many teens or their Parents equate this with team sports or competitive sports, exercise for a teenager can be walking the dog, riding their bike, dancing in their room, jumping on a trampoline, doing the Wii, hiking or swimming. Getting enough exercise is typically right outside their front door. Many of us grew up in the Outside Generation. We spent our time after school cruising the neighborhood, going on adventures, walking to and from school, playing games in the front yard until our parents blinked the porch lights which signaled it was time to come home. Being inside was more of a punishment because it meant we were disconnected from our friends and had nothing fun and interesting to do. If I was inside as a kid, I was doing chores so the decision to be outside was always a better and smarter option. Today, thanks to cell phones and video games our teenagers have evolved into the Inside Generation. They no longer need to leave their room or their house to connect to friends and they have become sedentary and inactive. Being outside now equates to work or stress so many teenagers opt to stay inside where they feel safe and unchallenged. Research shows that regular exercise reduces symptoms of moderate depression and enhances psychological fitness. Exercise is also known to produce changes in certain chemical levels in the brain and the body which has a direct effect on mood. A recent National Health and Nutrition survey found that physically active people were half as likely to suffer from symptoms of depression. Regular exercise reduces stress, burns extra calories, aids with concentration, reflects positive body image, helps with developing a positive attitude, combats obesity, and helps with low-self-esteem. Moving around for 60 minutes each day can boost the confidence level in a teenager and directly change their mood. Encourage your kids to get out, get moving and do something physical, not because you want them to get a scholarship, become the best or win the state cup, but because you want them to be happy and healthy. As a parent and as a licensed clinician I can unequivocally state that our teenagers are exhausted. While few Americans get optimal hours of sleep for their age, experts agree that teenagers are more likely to fell short than any other age group. 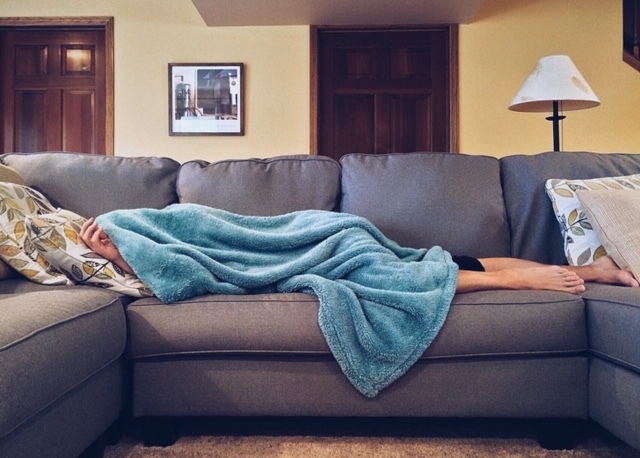 According to the National Sleep Foundation, teenagers need 8-10 hours of sleep a night to function best and in their latest survey, only 15% of teenagers reported sleeping at least 8 ½ hours on school nights. Between the heavy loads of homework, extracurricular activities, working, socializing and the explosion of personal electronics and video gaming, insufficient sleep for teenagers is epidemic. Why is sleep so valuable? Sleep is food for the brain and essential to development, growth and quality of life. It is vital to emotional well-being, physical health, weight, and mood. The lack of enough sleep often leads to drowsy driving, difficulty concentrating, irritability, nervousness, compromising one’s immune system, and limiting the ability to listen and learn. Not to mention, it’s a proven fact that lack of sleep makes us more prone to pimples and most teenagers need all the help they can get to keep their skin break-out free. Sleep is a biological necessity and essential for daily functioning. Teenagers often lead over-scheduled lives that lead to short nights and stress over trying to do it all. Add to that parental pressure, excessive homework in AP classes and early start times for school, it’s no wonder our teenagers are sleep deprived and walking around like zombies. Some kids can suffer and push through on very little sleep and then binge sleep to recharge to get through the next week, but many kids struggle and are not able to play catch up and walk around in a constant haze that negatively affects their ability to regulate emotions. As parents we need to remind ourselves that the health of our teenager should come before any grade or test score. An extra hour of sleep is often more valuable than an extra hour of studying. If your teenager is exhausted, help set limits that makes sleep a priority, not an option. If they feel anxious or need to study and it’s late, encourage them to go to bed and wake up a little early to get done what is needed. Turning off their electronics at a certain time every evening helps ensure they get quality uninterrupted sleep. The most important thing we can do is to keep in mind that a rested self allows us to be our best self. Helping your teenager set and maintain a regular sleep schedule is an important step in teaching them self-care and feel their best. Being a teenager is one of the best times in our lives and one of the hardest times in our lives. There is no secret to raising a happy teenager but if we encourage, promote, and model The Big Three, we are giving our kids a boost in the right direction to reach their potential and enjoy the journey along the way. ← Can you pick just One Word? Good advise for all of us, and the example we set helps. I especially like the sitting together for meals……at least one. This is so true. Doesn’t matter what is going on in my life when I have the big three in order, I feel like I can tackle almost anything thrown my way. What’s the D-Word? And How Does it Affect You? Can you pick just One Word?